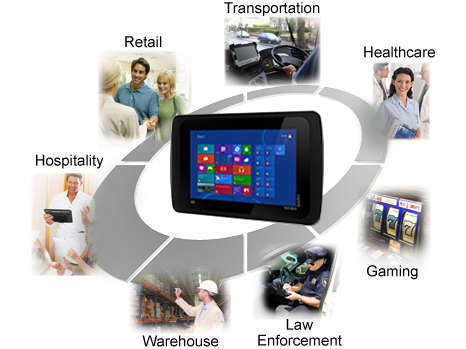 The DASH7E1 is a robust 7" Tablet PC, designed to provide mobility in many vertical applications. The DASH is sealed against spill and dust, and able to withstand a 4-foot drop. With Windows 8.1 preloaded, application developers will take less time to migrate or develop a mobile application. As a result, the DASH allows a quicker "go-to-market" product release, and a larger return on investment. The DASH is slim and weighs 1.5 lbs (0.7 kgs). 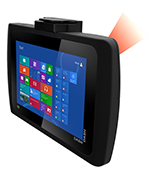 With a variety of integrated peripherals, such as magnetic stripe reader, barcode imager, and WWAN/LTE, the DASH allows mobile professionals to achieve a higher productivity.